I have become thoroughly obsessed with Millie Mackintosh’s style (thank you Made in Chelsea) and as soon as I saw her sporting Aspinal of London’s Marylebone Leather Tote, I became obsessed with it too. Though I purchased a structured top handle tote from Zara during my Paris NYE trip, Aspinal’s Marylebone Tote is a great black bag to have in your arsenal. Crafted from both black pebble and smooth leather, it is roomy enough for your everyday essentials. Here is how you can wear it now. 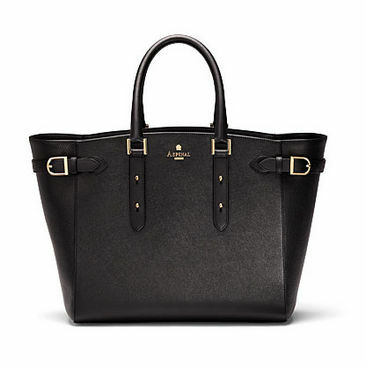 Aspinal of London’s Marylebone Leather Tote retails for $1089. Visit www.aspinaloflondon.com to purchase.